Trustpoint consistently meets and frequently exceeds our expectations. Their team is laser focused on finding top notch business development professionals. – Brian P.
TrustPoint is the only recruiting firm I recommend to CEOs who are looking to grow or top grade their sales organizations. They took the time to understand our business and find the right candidates who could sell our services to our prospects. 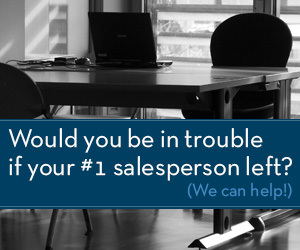 – Dan L.
TrustPoint has been instrumental in the success of our sales organization. They go they extra mile in screening and qualifying applicants and have recruited some of our top performers. – Don R.